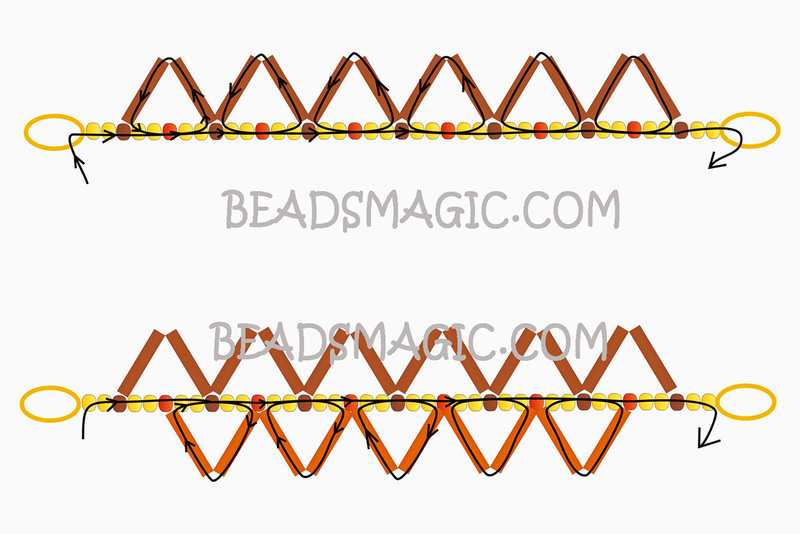 1 8mm bead, 1 bugle bead, 1 8mm bead. It might help to keep the bugle bead nicking the thread. 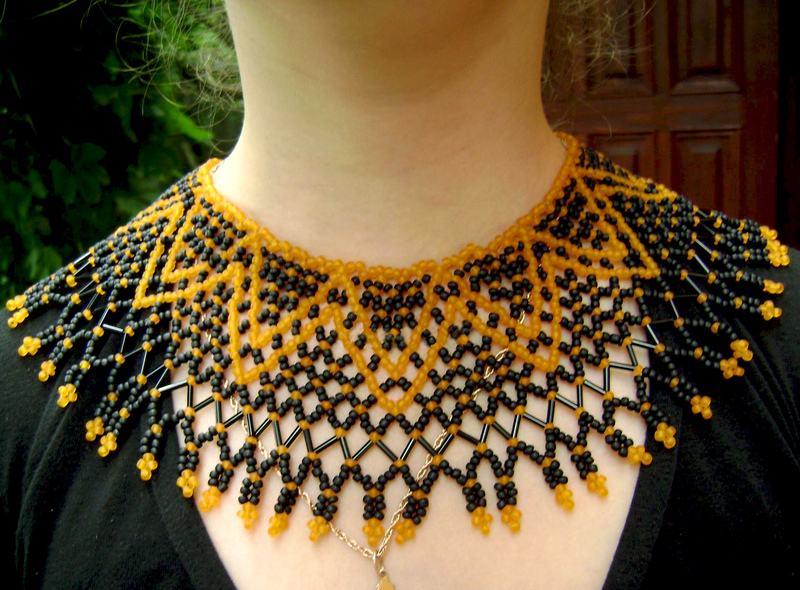 I want to try this pattern but I am going to try adding a sz 11 seed bead at the top where the two bugles come together. It seems to me that it could give a more finished look to the necklace. I was wondering if you tried it with your idea and rather you liked it? 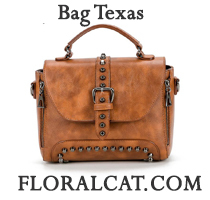 I am not sure how I found this web site, and not sure it was a good thing to have found it. Now I spend all of my time looking at patterns, beading, and all of my spending money goes for beads. There are just so many beautiful patterns to pick from. So many talented people designing. Also you could use nylon thread. Tried it and work just as well. 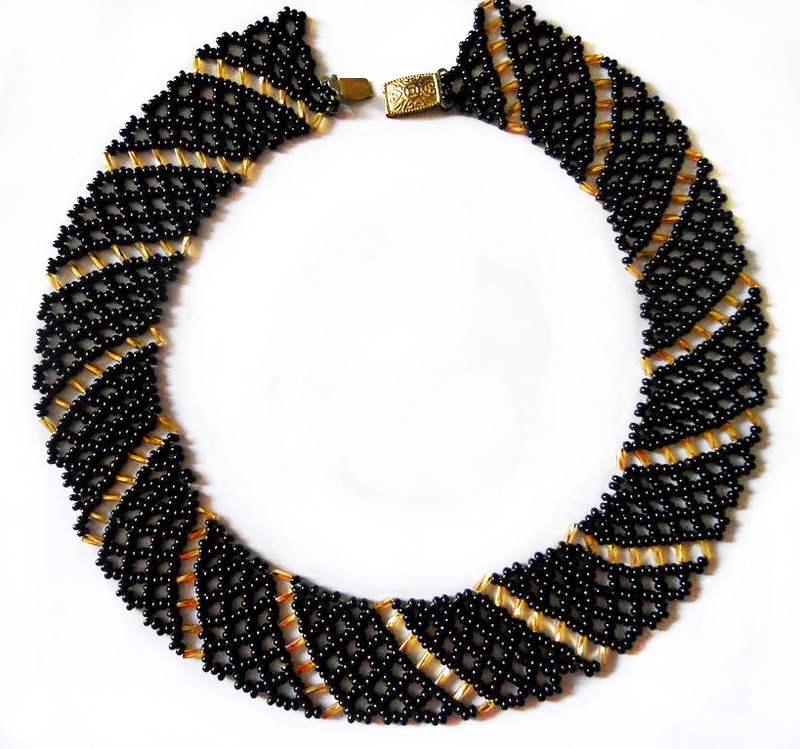 Love the idea of additional beads. Mmm might give that a try. It’s a very pretty pattern and turns out really pretty as well. However I made it larger seed beads because I couldn’t find a small enough thread or wire to make it the way it states here. 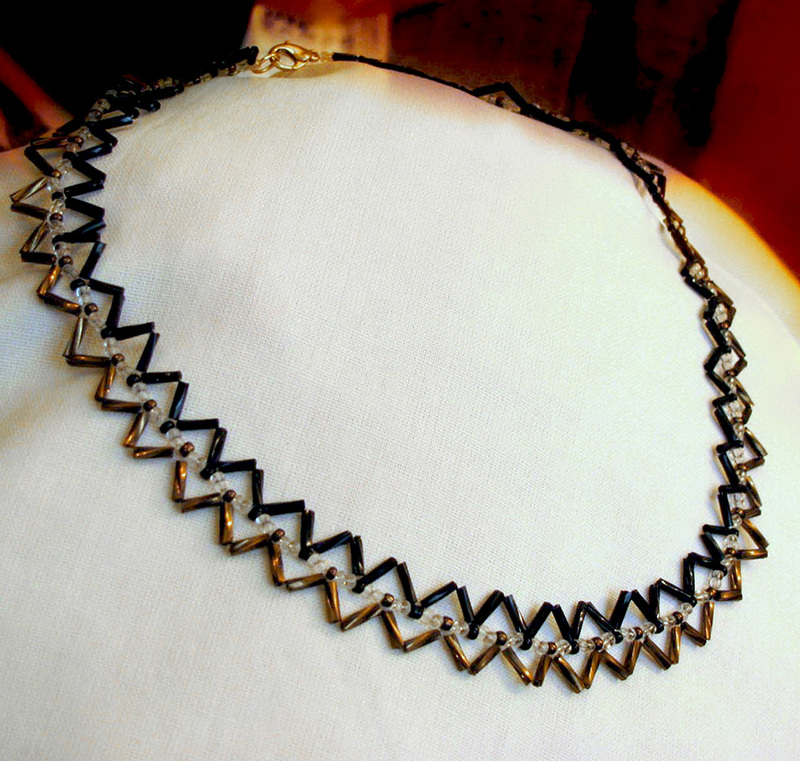 Hi i have only just found your website and love your free necklaces patterns. 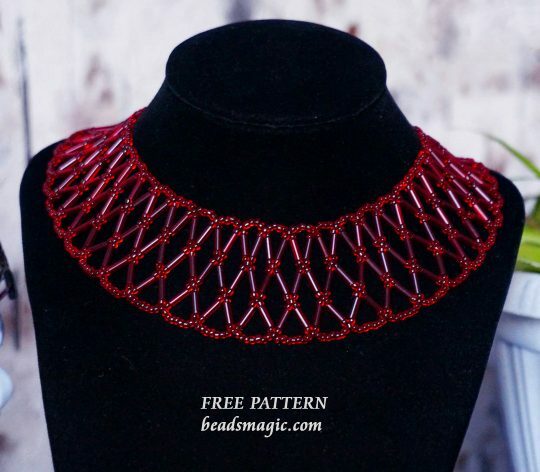 I am new to making neck laces but would love to download this pattern. I have tried everything, and just cannot seem to download it, can you help please?? ?